Robert Menzies Mocatta was born in 1892 in Ormskirk Lancashire. His father was Henry Elias Moccato born 1862 in St Helens and mother Katherine Ann Cook born 1865 in Great Budworth Cheshire. Using Ancestry.co.uk we can see that Robert was baptised at St Luke’s church Southport on the 15th August 1892, His father is listed as a school master. In the 1891 census we find that Henry is working as a school master and the family consisting of his wife Kathrine and his 4 month old son William Edward are living in North Meols Ormskirk. I have been unable to find any of the family in the 1901 census. However in the 1911 census the family are living at Clive House School, Min-y-don Old Colwyn. Henry is 49 years old, Kathrine Anne is 46 and the couple have been married for 21 years with 3 children all of whom survived.The children on this census are William Edward 18 and Edith Mary 16. 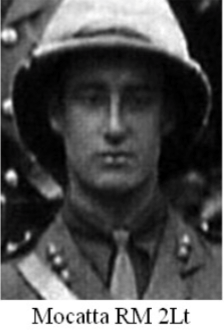 Robert can be found in the 1911 census at Haileybury College, Haileybury, Hertford where he is an 18 year old student. On a web page on the Old Colwyn memorial site some history of Robert can be found. 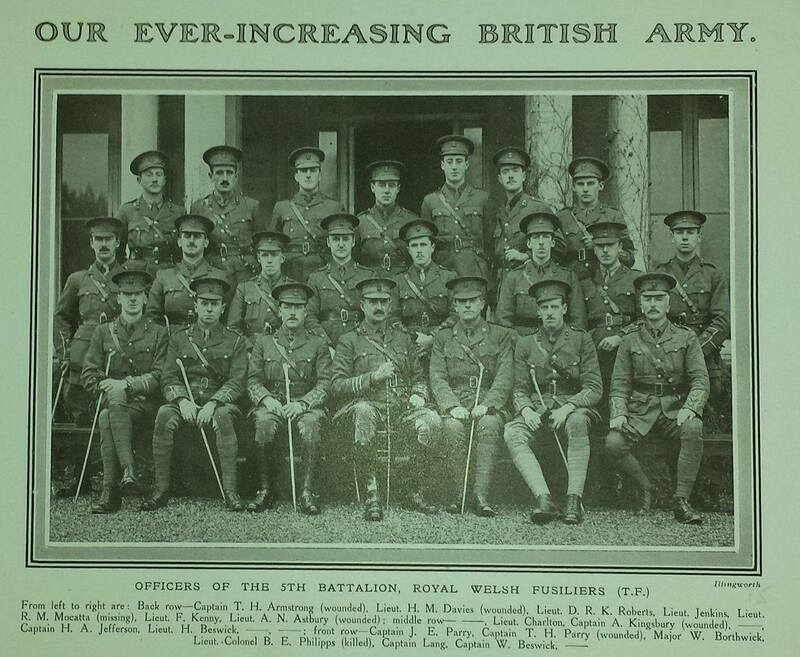 The 5th Battalion RWF were based in Flintshire with D company and had a drill hall at Holywell. On the 19th July 1915 they embarked for Gallipoli making a landing at Suvla Bay on the 9th August 1915 where they suffered heavy losses.